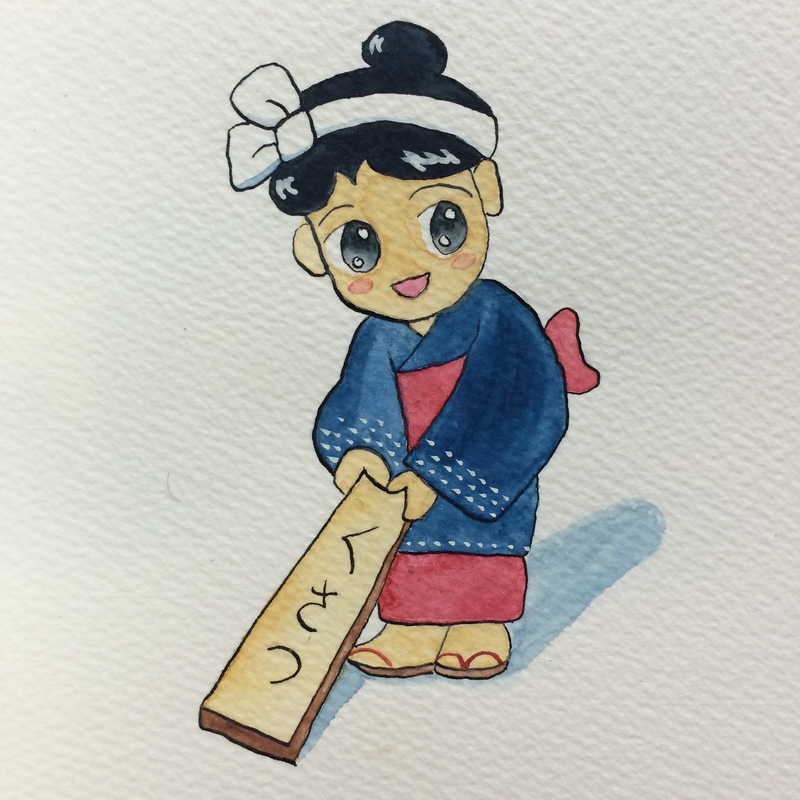 We went to Kusatsu Onsen last weekend, so I decided to do a little painting of the local mascot Yumomi-chan. The water in Kusatsu is super hot, so it’s traditionally cooled by women with large wooden planks. You can read a nice write up and even check out a video of one of their performances over at JapanNewbie. This is my second Gunma-tastic painting in a row, previous being the Daruma of course, and the next one will be even more so. What do you think it will be? This entry was posted in Art, Gunma, Japan and tagged Art, I painted this, illustration, Japan, Japanese, kusatsu, my art, onsen, painting, watercolor, watercolour, yumomi. Bookmark the permalink.